Gary Gouger of Gouger Cellars has been asked to be part of Portland’s Spring Beer and Wine Festival http://springbeerfest.com/default.html. He entered five wines and received five medals! Only four gold medals were awarded and he received two of them along with three silver medals. The event goes Friday and Saturday. The winery will be closed on Friday but Nicole will be there on Saturday to take care of you! Gouger Cellars will also be closed on Sunday for Easter. Come visit Gary at the Convention Center! Also, he just bottled his 2013 Syrah and 2011 Cabernet Sauvignon and they are both really good. Stop in and taste them soon. Next up is Zinfandel, Merlot, and Malbec! Alder Creek Kayak & Canoe, founded in 1986, has been a leading force in the Pacific Northwest paddle sports industry for many years. With two retail stores and now 4 rental/instructional centers, all of Alder Creek’s locations are positioned on the water. With the acquisition of Ridgefield Kayak Alder Creek will significantly expand their offerings into the metro/Vancouver region. Ridgefield kayak employees will remain with the company into the future and Alder Creek and Ridgefield Kayak look forward to learning from each other and expanding the opportunities available at the great paddling location. The sale of Ridgefield Kayak culminates a 10 year journey for Gail Alexander. Starting with the idea of connecting communities to the Ridgefield National Wildlife Refuge, she then partnered with others to bring recognition to 32 miles of water trail that would promote the natural environment and outdoor recreation. Sharing her passion for paddling, she built the business from scratch based on customer service and provided quality experiences. While Gail intends to retire from the business, she will still be involved. She plans to focus on two events she has been integral in developing over the years: National Trails Day ‘Big Paddle’, which occurs the first weekend in June and the Birdfest Bluegrass Celebration in October. Congratulations to Solar Escape Tanning, which was named the best tanning salon of Clark County. Solar Escape, owned by Char Hartman, is at 8507 South 5th Street in Ridgefield. 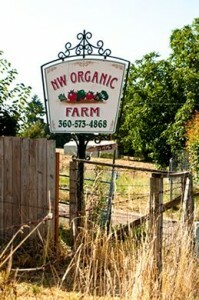 Northwest Organic Farms is a family-run organic farm located in the lush area of Ridgefield, WA. It is a short 10 minute drive off I-5 to our farm. The farm is run by owners/farmers Greg, Joyce, and Ben. We have been farming since 2001. Farmers Greg and Ben have been busy getting ready for this upcoming 2015 CSA season. Heirloom seeds are being planted, fruit trees are being pruned, and the green houses are growing crops that go to local businesses throughout the area during all seasons. The happy and free-ranging chickens are laying their eggs. They are for sale on a self-service basis at $4 a dozen. Up our driveway in front of the first house on the right in the mini fridge is where you will find them. Our ducks have started laying as well, but we do need a phone call to hold those for you. They are $5 a dozen. We are now open for the 2015 season for taking CSA applications. CSA stands for Community Supported Agriculture and is a way to buy fresh fruits and vegetables directly from the farmer in your local community. Supporting local agriculture is a way to support your local business community, your neighbors, and keep your food dollars in the local economy. Our CSA runs for 20 weeks. We have two kinds of shares. The full share basket feeds 5-6 people and goes for $598. Our half share baskets feed 2-3 people and go for $325. We take a deposit of $100 to save your share. Full amount must be received prior to May 1st. We accept WIC, EBT, and Senior Coupons. We sell our produce from our farm stand and at the Salmon Creek farmers market. Examples are our organic raspberries by the flat, canning tomatoes, etc. Currently, we are taking orders for our heirloom tomato plants $5 for gallon plants and $8 for the grafted heirloom tomatoes. Follow us on our FB book page. It will be updated with what we have for sale at our farm, as well as what’s in our CSA bags, recipes, events, and so much more! Northwest Organic Farms is located at 17713 NW 61st Ave. Ridgefield. James McPhee has opened a State Farm Agency in the Union Ridge Business Park adjacent to Auto Licensing. He is interested in getting to know and creating relationships with the community and local businesses as well as letting them know that there is a State Farm option for insurance and financial services right here in Ridgefield. The office is open Monday through Friday from 9am-7pm and Saturdays from 10am-2pm. Accommodation for appointments at other times may be made as needed. The agency is located at 7509 5th Street, Suite 113A in Ridgefield and can be reached by phone at 360-727-3321 or by email at James.McPhee.D90C@StateFarm.com. We also have a website: JamesMcPheeInsurance.com. I have a wonderful announcement to make. Gouger Cellars in wonderful Ridgefield, Washington has just been awarded a Platinum Medal for the 2010 Petite Sirah at the San Diego International Wine Competition. This is a very prestigious award which is above a gold medal and it is the second such award received by Gouger Cellars. This award also puts Gouger Cellars into the running for best of show in the competition. Zachary Johnson has started a property damage mitigation company in Ridgefield…RECLAIM of Washington. One of the qualities that separates this company from other similar types is that they operate seven days a week…exactly what you want from a company that resolves property damage caused by water, mold, fire, smoke or biohazards. Property damages occur every day throughout our community: shut-off valves break causing water damages of all sizes; oven fires occur destroying kitchens and damaging contents throughout entire homes; families live with funky odors in their homes until they finally notice the mold in the attic or the sewage leak in the crawlspace, and sometimes the difficult experience of having a family member who has bled or defecated on the floor needs to be cleaned up. Regardless of the time, day or event, RECLAIM of Washington is here to help community members through these events. I invite you to visit their website www.reclaimofwashington.com to learn more about how they will help you if you ever suffer the frustrating experience of property damage, or call Zachary directly at 360-633-2222. He will be happy to talk with you about his business and your options if you are not sure what to do with a property damage event. It’s time to renew your membership in the Ridgefield Business Association. Existing members get a $10 early bird discount if dues are paid by December 31. If you’re not a member, consider joining. The group meets once a month and is becoming an advocate for businesses throughout the 98642 zip code. Speakers at each meeting offer useful ideas, plus the RBA supports many local events. Become the change you’d like to see! “Where do you want your money to go? Do you want it to replace ferry vessels in the Seattle area or would you rather your dollars stay local and support your local business and community? It is your choice. January renewals through the county office in Clark County will now come with an additional service fee. Between Oct 12 and Dec 31, 2014, if a customer renews a vehicle registration expiring January 1, 2015 or later, the $5 service fee will apply at the county agent office. Sage Organics Opens at 414 Pioneer Street. Sage Organics offers a variety of facial services for every skin type, including aging concerns, acne, hyperpigmentation, sensitive and rosacea, and every combination of the above and more. Owner Laurie Lanza’s primary facial product line is Eminence, a triple certified organic line from Hungary. She also offers chemical peels through PCA Skin and body waxing. Laurie has been licensed for over ten years in the field of esthetics and managed the largest spa in Fort Mill, South Carolina, located just south of Charlotte, NC. She loves the client interaction that she develops as she works with customers. Laurie may be reached at 360-600-4825. Please welcome her to Ridgefield. While Phuong Tran of Lava Java waits for her new space at Heron Gate to be completed, the coffee service is using temporary space on the second floor of the Heron Gate building at 2 South 5th Place. This was the scene yesterday as happy customers ordered their lattes and chatted. Come and see the territorial view looking west over Ridgefield. Laurie Lanza has opened Sage Organics in the Pioneer building at 414 Pioneer Street. She offers a variety of facial services for every skin type, including aging concerns, acne, hyperpigmentation, sensitive and rosacea, and every combination of the above and more. Her primary facial product line is Eminence, a triple certified organic line from Hungary, and she also offers chemical peels through PCA Skin and body waxing. She offers a 25% discount to first time clients and has a client rewards program. Laurie has been licensed for over ten years in the field of esthetics and managed the largest spa in Fort Mill, South Carolina (located just south of Charlotte, NC) before moving to Ridgefield in October. She had a large client base at the spa, but it was the client interaction that she loved the most. The new Ridgefield Business Association map is going to press soon. Only businesses that are members of the association will be listed on the map, so if you haven’t joined yet, it’s time to do so. Membership in the RBA includes a write up on their website, as well as interesting and informative monthly programs. The map is distributed throughout the area, including the Gee Creek Rest Stop and the Woodland Chamber of Commerce, so you will have good exposure. There are still a few advertising slots available on the map. Go to the RBA website for the application. Information: Jeff Stay, 607-8595. NWCPA, a leading certified public accounting and financial consulting firm here in Ridgefield is pleased to announce the acquisition of the accounting and tax practice of Sharon Davenport. According to Nanette M. Walker CPA, of NWCPA, “We are very pleased with this latest development in our firm as we continuously seek to deliver robust offerings to our clientele”. NWCPA was established in 1994 by Nanette M. Walker. She has been practicing as a CPA in Clark County since 1981 and is a well-known participant of numerous local organizations. Joining NWCPA is Tanya Carter, formerly employed by Sharon Davenport, as a full-time Junior Accountant; Abby Kemp, a student at Clark Community College and former manager of Domino’s Pizza Stores; and Elayne Di Yorio, who previously worked at Accenture as a Program Manager. The new members join current staff Jennifer Bonner CPA, who was the owner of Summit Accounting in Camas and holds a Master of Information Processing and Communication from MSU-Billings; and Tanya Persons, Office Manager and Bookkeeper, with experience in retail management, buying and inventory control. NWCPA has offices located in Ridgefield and Camas Washington, and prepares financial statements, income tax returns for corporations, partnerships, LLCs, individuals, trusts and estates. Business consulting, tax planning, bookkeeping, construction accounting and payroll services are also offered. For more information, visit www.nwcpa.net, email nanettew@nwcpa.net, call 360-887-4659, or write to NWCPA, Heron Gate, 2 South 56th Place, Suite 200, Ridgefield, WA 98642. Jan Haig and Earleen Griswold have a little Shabby Chic corner in the lobby of the Old Liberty Theater/Coffee shop at 115 North Main Avenue. They are having a sale, rain or shine, on Friday and Saturday, February 7th and 8th from 9:00am – 5:00pm. Come see their one-of-a-kind items, some left original, others painted with Annie Sloan Chalk Paint. Phones: 887-7260, 798-6508.